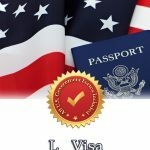 E2 Visa vs. L1A Manager Visa. The L1A visa program is quite similar to the E2 which can thus create a lot of confusion for investors or treaty traders looking to find residency in the US. Even though they share some common characteristics, you will still need to assess and understand the requirements of each visa program to make sure it is the right one for you. If you wish to learn more about them, read on. Both programs have been designed for aliens who are looking for opportunities to work in the US. Looking at the L1A visa program, it is the US-based employer who applies on behalf of the alien. However, the individual has to be a part of the organization or any of its affiliates to qualify. These individuals can be from any country but they need to meet the specific requirements of the L1A manager visa and need to have the required expertise and knowledge to fulfill the position before coming to the US. The E2 Visa program has been especially designed for individuals and employees of investors or treaty traders who wish to work with an organization that is engaged in trade with the US. Additionally, they can also apply for the program if they have a considerable investment in the US. This is not the case with the L1A visa and neither is it a requirement. 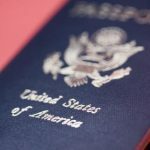 You also need to keep in mind that the E2 visa program was created out of necessity in order to withhold the treaty requirements between the United States and various other countries. A major difference between the E2 and the L1A are the time limitations for each status. The period of stay is far more flexible for an E2 than the time allotted for the L1A. The E2 status holder is allowed to stay in the country for up to two years. The stay can be extended and increased by an additional two years after being approved by the USCIS. What’s interesting is that there isn’t any limit to how many times you can have the visa extended until or unless the status holder declares he/she will exit the US. The L1A visa for managerial transferees allows you to stay for a year if you are working for a new company. But if you are working for a US company which has been operational for more than a year, your period of stay will increase to three years. Once you have reached the maximum period of stay, you will need to exit the US and work for a subsidiary of the US Company in order to reapply for the L1A visa program. The application process is quite similar for both programs. You can either apply from a US consulate in your native country or through an I-129 form if you are present in the United States. But if you are planning to change or extend your status, then you will need to apply for an I-129 form. The real difference lies within the initial application where an L1A visa application requires an L-petition from the employer addressed to the USCIS. But the E2 applicant can simply apply with the Department of State at any consulate without having to worry about a petition from the employer. Keeping the aforementioned factors in mind, you will now be able to distinguish the two visa programs from one another. The pros and cons should give you a better understanding of what you are getting into and will allow you to make an informed decision. Did you like this article? Share or like it. Don’t forget to sign up to our newsletter and receive updates for FREE!